Ever since I fell ill, I have been interested in watching actors repair themselves on screen. The other night I was accidentally watching Harrison Ford in The Fugitive for about the 10th time, and once again the bit I liked best was when he stitches himself up, so that he is ready once again to run away from the relentlessly barking Tommy Lee Jones. Mark Wahlberg needs the help of Kate Mara when extracting a bullet from himself in Shooter. I thus award him fewer points, because the essential thing is to get well on your own. I even give points to actors who don’t do self-surgery, but merely return themselves to a high state of training. 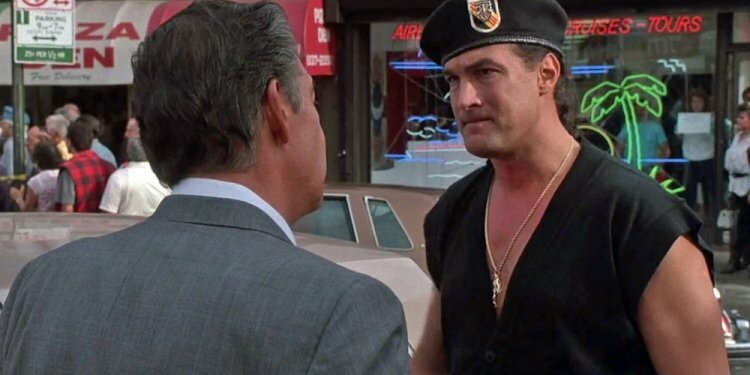 Sylvester Stallone has to operate on himself in Rambo First Blood, but he rescues himself from slob status in the first Rocky movie just by running around Philadelphia every day, until finally he is ready to defeat the unwisely confident world heavyweight champion. Among the many highly negligible movies of Steven Seagal, several feature a sequence in which, after being run over by a truck or crushed under a falling aircraft carrier, he restores himself to full invincibility with an accelerated programme of aikido training. I have tried it and it works. A motorcade of gangsters pulls up at my door, but when they realise that I have regained my deadly powers, they drive on. No, that didn’t happen: I was lying. But a man who feels bereft of his erstwhile strength will say anything, and especially if saying things was the thing he used to do. Even at the best of times, words don’t feel like a very great thing to be good at: not compared with, say, being Jonas Kaufmann and singing the lead in Andrea Chénier. Yet people want to be funny anyway, even when they are already famous for doing something more useful. Hence there are brain surgeons who can’t be stopped from making puns. Nothing that is mere wordplay is ever witty, so the man who makes puns must do all his own laughing. But you never know, the brain surgeon might have a second future in showbusiness. If he has, he could soon regret that he didn’t stick to getting into people’s craniums with silver tools instead of shafts of wit. Since almost everyone can talk, it hardly seems fair that only a few come to be admired for it. The successful practitioner is liable to feelings of uselessness, which lead him to develop a morbidly defensive ego. He wants to feel that his not very remarkable power is something special. Hence his daydreams of regaining it all by himself when he needs doctors to stay alive, and would be lost if left alone.